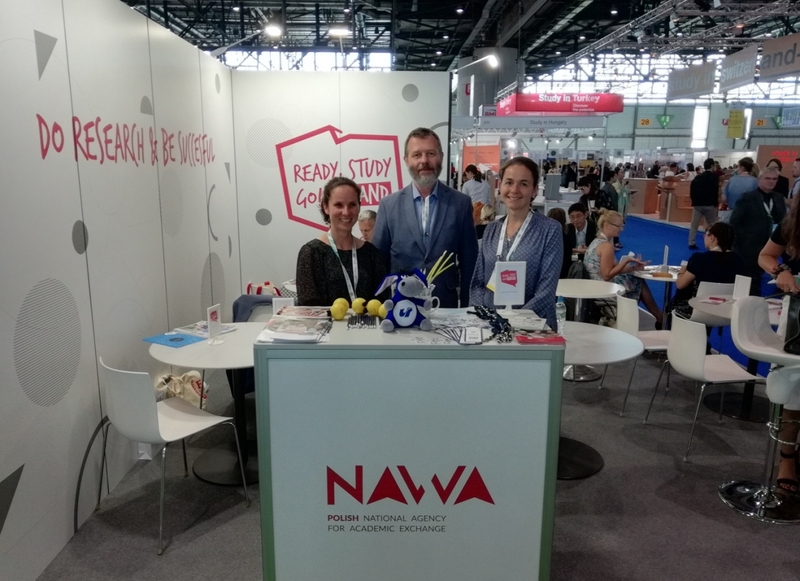 During the education fair which accompanied the conference the University of Silesia in Katowice presented its offer at the national stand “Ready, Study, GO! Poland”, prepared by the Polish National Agency for Academic Exchange (NAWA). Representatives of the University also took part in meetings with partner institutions from Spain, Sweden, the United States, Canada, Japan and Taiwan, aimed at strengthening existing cooperation and establishing new contacts. Additionally, the EAIE also featured interesting workshops and presentations dedicated to topics related, among others, to higher education, internationalisation and academic exchange programmes. On the part of the University of Silesia in Katowice the event was attended by: Jarosław Gąsior – Erasmus+ Institutional Coordinator, and Marta Koziarz and Monika Ostrowska – employees of the Erasmus+ Office. Detailed information is available online at: www.eaie.org.